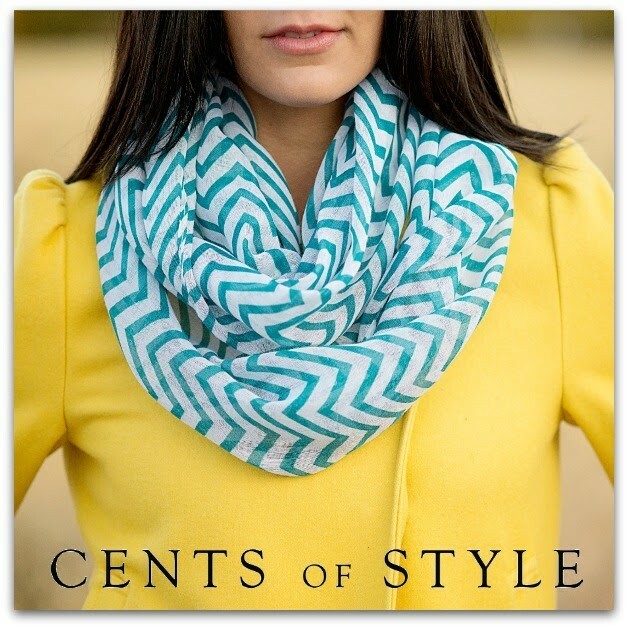 Cents of Style is having a Flash Sale on their very popular Chevron Infinity Scarves. Today only you can purchase two of them for $11.95 plus free shipping using code CHEVRONLOVE. 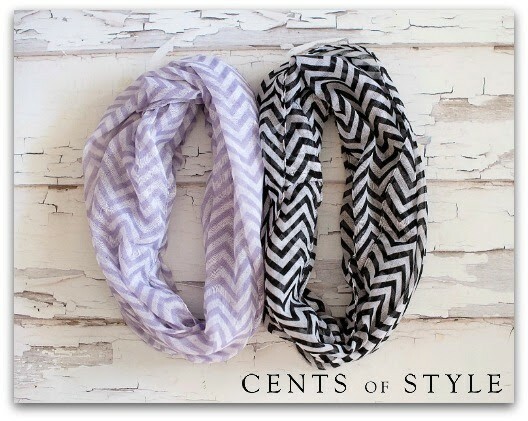 Here’s how to get your two chevron infinity scarves for $11.95 plus free shipping: Add your two favorite chevron infinity colors (it comes in 15 different options) to your cart, proceed to checkout, input the coupon code CHEVRONLOVE on the second page of checkout and then pay just $11.95 for 2 scarves shipped! It’s still chilly enough in most parts of the country to throw on a light weight scarf and these are the perfect weight and style. See all of the colors they have to offer and have a blast putting together some fun spring outfits!